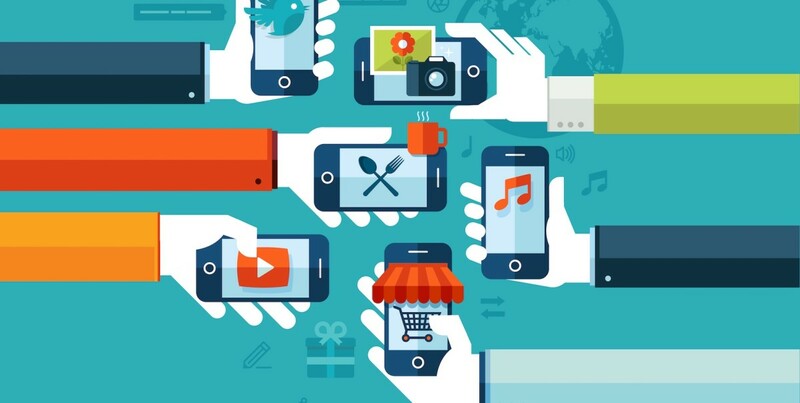 Is your app using these four features the wrong way? When marketers approach external consulting, they usually expect to hear what it is that they should be doing. In reality however, chances are they will receive feedback regarding actions they better stop performing. In the business of mobile marketing, this includes the features they should not develop or (if already developed) delete from their product. There is a common phenomenon in which entrepreneurs look to apps that have made it big in the market and copy successful features from them straight into their own apps. This is a huge mistake, since not all features achieve the desired goal within every app – each app has its own needs and flow. The following list presents the four most overdone and wrongly used app features out there. If you’re in the mobile app business, I recommend that you check out the list to learn which feature you’re guilty of incorporating into your product for no reason. The “share” feature can be a great tool in many apps and serve as a catalyst in reaching more users. However, other apps which aren’t based on social interactions between users and do not have virality inherent in their core, might not need that feature whatsoever. Unfortunately, many apps fail to see that and implement the feature just because it’s become a staple in the industry. An alarm clock app for example, doesn’t require social interactions between users in order to fulfill its purpose as it answers a utility need. Implementing the “Share” feature in such an app will most likely be unnecessary since there’s no exciting content offered by the app that users can share with their friends. In this case, I would suggest the app makers choose between the following options: either get rid of the feature and maintain a simple, streamlined look and feel for the app, or provide people with a good reason to share app content. For instance, allow users to share how many times on average they hit the “snooze” button before fully waking up. Much like the Share feature, gamification can be fruitful, but only in the right circumstances. In some social apps, gamification can work its charm by increasing competition and drawing users back to the app, ultimately boosting retention rates. However, there are a few too many examples out there for Web and mobile products, in which gamification translates as confusing and unnecessary. Let’s take a look at Google News Badges – in 2011 the service introduced a feature that enabled users to accumulate badges the more they read about a certain news topic. Now, is there a real value to this feature? Do we really care about how many articles we read in each topic? The majority of people would say no, which is why the feature was interpreted as confusing, unhelpful, and did not promote any of Google News’ goals. Another example is Swarm’s feature that enables users to become “mayors” after visiting a certain place the most times within the past 30 days. The feature garnered negative attention, for the same reason that Google feature did – it did not provide users any value, and as a result did not promote Swarm’s business objectives. Bad gamification might annoy users, as they too can tell it’s unnecessary, and cause the overall impression made by your product to appear silly, impacting negatively on the way they perceive the product as a whole. Geolocation has turned many apps into a huge success. Tinder, Snapchat, and Foursquare are apps that rely or have successfully implemented the technology in order to leverage their marketing goals. Some apps, on the other hand, are getting it all wrong. Since geolocation has made the success of many apps possible it’s become a “trend” and many apps implement the technology when it’s not vital to the functionality of the app. Such app developers are not only including unnecessary features in their app, making it more complicated than it actually should be, but they’re also negatively affecting their users. When asked to share their location, users are oftentimes taken aback, and some even delete the app immediately. So if geolocation is merely implemented in your app because it’s what “all the cool kids are doing”, you should definitely get rid of it. Enabling users to create their own user profile started more than a decade ago with social media platforms. Users loved the idea of having a page that completely belonged to them. They could edit it and share content and information about themselves with their friends on the network. Profiles became such a hit and are now a popular feature in many apps on the most dominant screen of our time – mobile. Social and gaming apps in particular, enable users to create and edit their own profile. The main benefit of such profiles is that they make everything more personal. On the other hand, some apps enables users the option of creating a profile, simply because it’s become so engraved in the tech world, but fail to think about how it actually contributes to the user experience. The Skype app, for example, lets users create their own profile and publish their “status”. Although this seems natural to many of us, it does not provide any added value since we don’t “discover” new people on the app but rather talk to those we already know and therefore, a profile picture and name would suffice. This is a serious drawback for apps for two main reasons. Firstly, it overcomplicates things, and secondly, users might not be eager to fill out a profile, making perfectly active communities seem dull and inactive. It continues to intrigue me how difficult the process of eliminating features from apps is for entrepreneurs. They spend time developing features and elements in their product, and have a hard time detaching themselves from the process. Sometimes, what app creators need is to take a step backwards and get an objective perspective to help them with this challenging editing process.